Tear the soft leaf of the kale away from the center stalk that runs throughout the length of the kale. Discard the tough stalk. 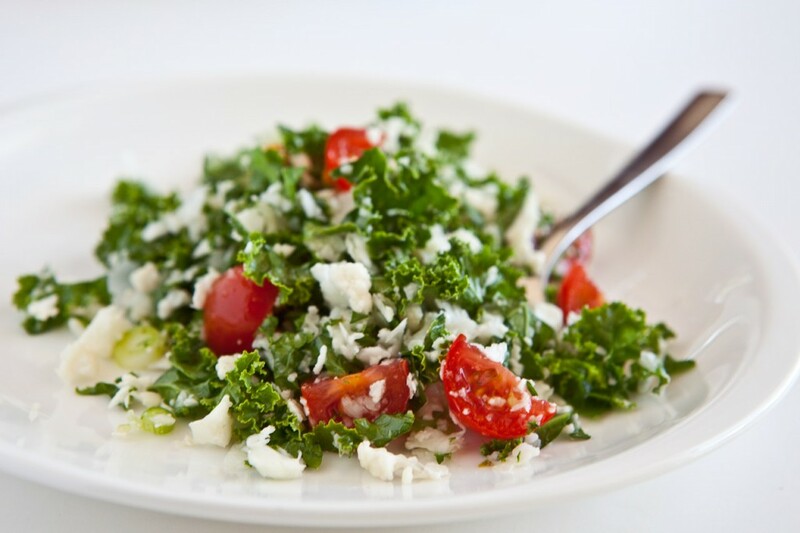 Using a chef’s knife, finely chop the kale leaves. Rock back and forth with your knife over the leaves, like you are mincing. Add to a large bowl, along with the cherry tomatoes, green onion, and parsley. Grate the cauliflower using the large holes of a box grater. Add to the bowl and mix. 3. 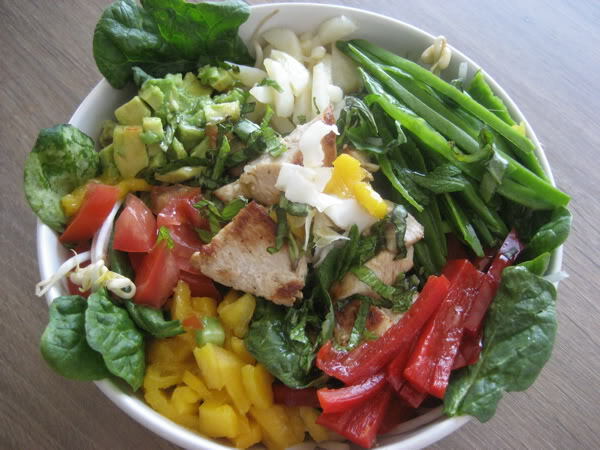 In a small bowl, whisk together the lemon juice, garlic, salt, pepper and the olive oil. Pour dressing into the bigger bowl and toss gently. Taste and season with additional salt if needed. 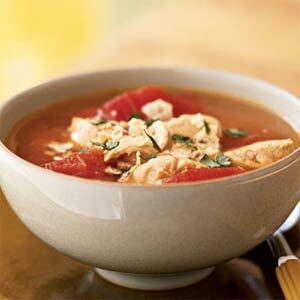 Whisk chicken broth with refried beans. Add rest of ingredients and stir together. Heat thoroughly on stove, or heat a serving in the microwave. Flake salmon into small pieces and mix with other ingredients. Remove the Italian sausage from its casing. Mix all of the ingredients, except bacon fat, together until well combined. With lightly oiled hands, roll the meatballs into the desired size. To cook, heat bacon fat in a saute pan over medium to medium-high heat. Once hot, add the meatballs. Fry 5–7 minutes, until bottom is browned. 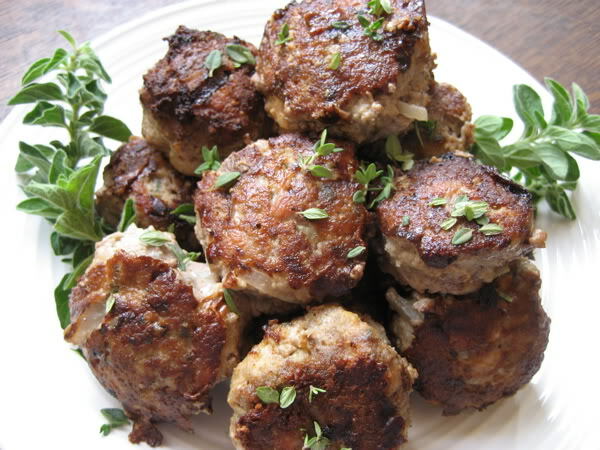 Turn meatballs to opposite side and fry until that side is nicely browned, another 5–7 minutes. Cut one open to determine if it is fully cooked on the inside. If not quite done, turn heat to low and cover pan for a few more minutes or put meatballs in a warm oven while you fry another batch. 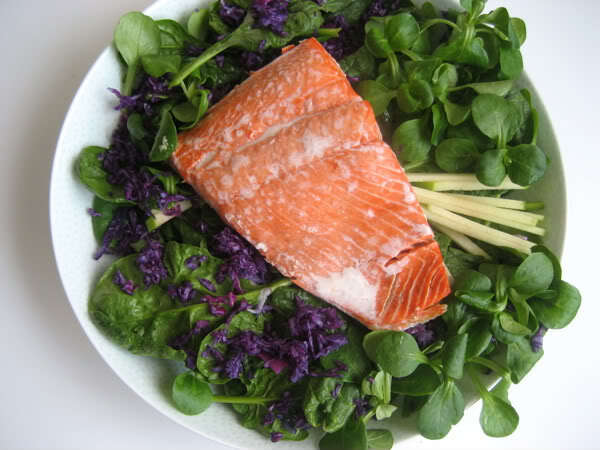 Although the salmon can be cooked any way you like, poaching is a quick and easy method. Preheat the oven to 350°F. 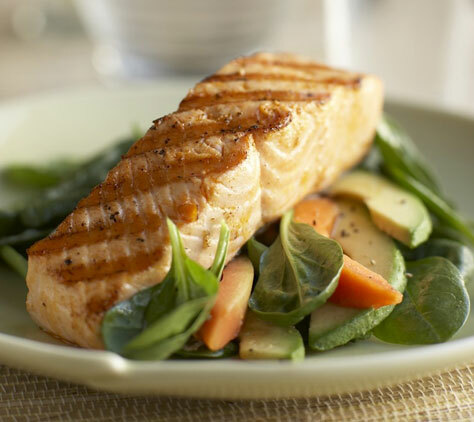 Place the salmon in a baking pan with just enough water to cover the bottom of the pan. Cover with foil and bake until done, approx. 10 minutes for a 1⁄2 lb fillet. Mix together the greens, top with salmon, and drizzle olive oil on top. Chop, julienne, and mix ingredients together. *Ginger juice can be made by chopping up ginger and squishing it in a mortar and pestle, or in a bowl with a spoon.